Clothes are the biggest identity component one has. Be it any occasion, the perfect attire complements them. Cleaning them is a job which needs a brief yet significant notice. 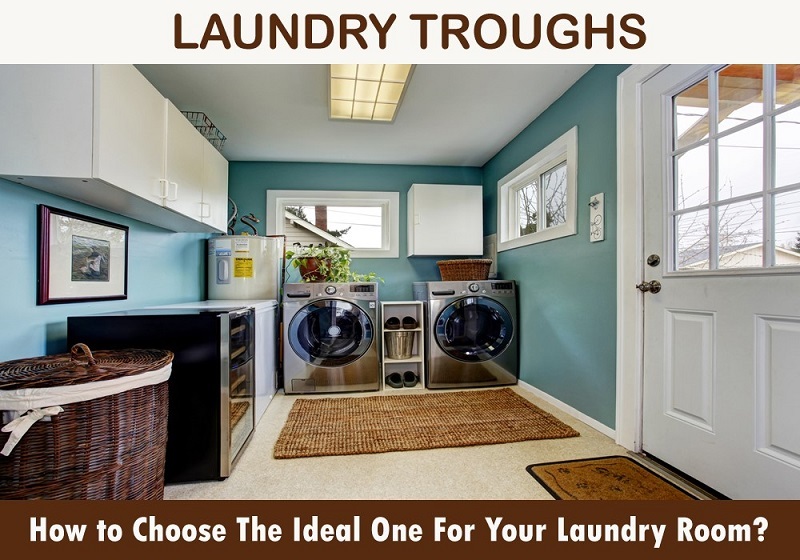 Clothes can be sent to laundries to other places or it can be washed in the laundry room in home too. The laundry sinks are a part of your daily routine. You need to wash clothes every day, and thus for your comfort, you need to have a good sink that will be useful. They are solely used for hand-washing, removing stains in addition to other works. The laundry troughs have to be installed in such a manner that it becomes comfortable and optimum for you, and at the same time serve its purpose of helping you in cleaning. They are available in different sizes so you can choose the one that will suit your needs. If you know about it beforehand you will be able to choose the best option. The materials that you choose to make the trough are the most important things that need to be considered. Except for how the sink will look, the purpose of it is of more importance. The material will further determine the durability of the sink as well. The iron sink is the oldest material that is used for making sinks. It is coated with enamel which is put on for better performance. The coating needs to be done regularly which would prevent the material from rust. The other material that can be chosen is acrylic. It is a lightweight material but will last long at the same time. You will be able to find a variety of colors and designs in acrylic sinks. Thus, it will be useful in matching the design of the bathroom interiors. In addition to it, it is economical, so you would not have to worry about long bills. Steel is another material that can be used as sinks. These sinks are light in weight and are very easy to maintain. But these laundry troughs can make noise when water hits from above. You may decide according to your needs, from the aforementioned materials. Choosing how the laundry troughs will be installed in the laundry room is another task and an important one. Since the sink has to be in a place and stay longer in your house, installation type is formed immense significance. You should choose the style that will be comfortable as well as suitable for you in getting the work done. The mounted sinks are the ones that are hung or fixed on the wall. These are designed for people who have condensed space. They are fitted onto the wall without the need of anything to hold it. This type is usually easy to clean because it is open from the bottom. The other type is drop-in. These are the troughs that have storage space beneath the sink. It is very useful when you want to store cleaning items and other things. But you will have to spend some more money for this type. This is mainly because you will need more raw materials needed to build this. The size of the sink is another important factor that has to be considered. You may find sinks in many sizes and shapes. However, the most commonly used size is a rectangle shaped trough. It is convenient for when the trough is in a rectangular shape. The size depends on the purpose of its usage. If you are using the trough for cleaning only a few clothes, then a smaller size should be enough. But if you have more people in your family then you will definitely need larger size laundry troughs. 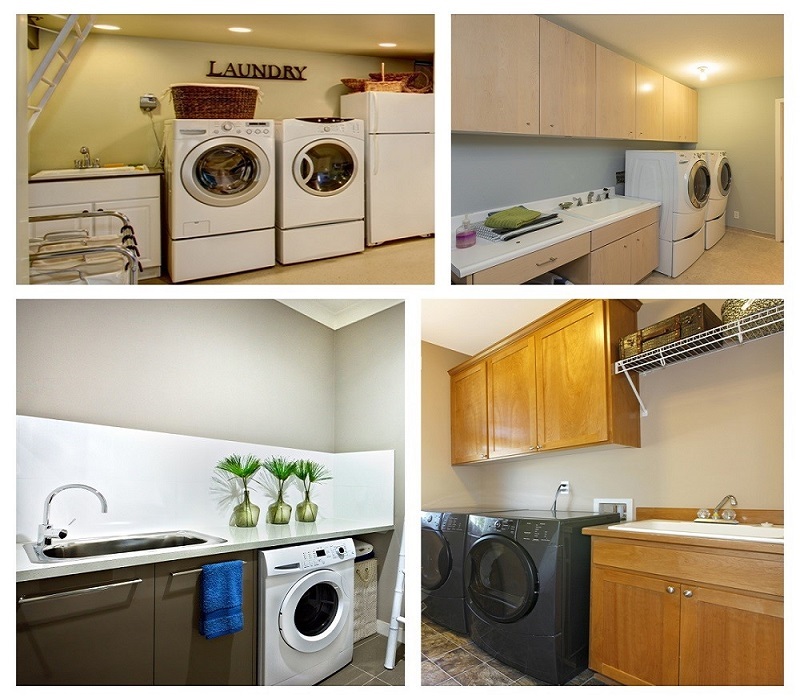 It also depends on the total area given to that laundry room. If you don’t have much space a small trough will fit. So, select one accordingly. Selecting and designing is the task which needs to be accomplished before buying an optimum laundry trough. It forms importance in terms of accessibility as well as convenience in terms of cleanliness of the space. Hence, a consideration of the aforementioned points forms a virtual necessity for having an informed decision.